Praise God! Hi, my name is Minister/Christian Willie J. Henderson, I am the founder of, "My Father's House Ministry/Shelter & Bible Training Center For Recovering Addicts". No One Pays To Live, Eat Or Study Here! This is not a 12 step program, this is a "follow the example that Jesus set in Lk.4:1-13 program!" Just like Jesus was in the desert being tempted by devil and afterwards retaliated by saying "it is written..." followed by the APPROPRIATE VERSE (Lk.4-13), people who come through the doors of "My Father's House Drug Recovery Residence" are taught how to follow Christ's example and apply the "Appropriate Verses" to combat, overcome the temptations to smoke crack, crystal meth, drink, steal, rob, lie; give in to sexual immorality, fornication, adultery, homosexuality, and many other related sins that attach themselves to crack cocaine, crystal meth, synthetic marijuana, and alcohol addiction! We teach our students the steps that worked for Jesus when he was being tempted by the devil in Lk.4:1-13! They are taught what verses to use depending on the situation presenting itself and putting into practice real life scenarios of predicaments they will be faced with in the world and then applying the same skills and techniques that our Teacher, Christ applied when he was in the wilderness being tempted by the devil and overcame! The Bible confirms, "that Christ defeated, overcame the temptations of the devil by the intelligent use of the written word of God. First of all I want you to know that personally I have been in your shoes! like some sort of crack zombie while being viewed as a sick, pathetic, worthless nonproductive reject by society, family and friends. I slept in the parks, old abandoned houses and car, in the woods... For years I bounced from one relatives house to another, one homeless shelter to another and I took advantage of the shelters so that I could use whatever money I worked or panhandle for to buy alcohol and smoke crack. Sadly it became my way of life for 20 years as "the unclean spirit of a wild animal's heart" (Dan. 4:16, 32-33) "possessed me and made me feel content to live the homeless life! (Mk.5:1-5,8). Then one day I happen to meet a compassionate man who asked me to help him unload a truck, I didn’t realize it at the time that he was a Pastor. As we drove to the location he took time to listen to my sad story and that day my life was to never be the same. The place we unloaded the truck at was a newly established shelter and bible training center and there I was offered a place to live, to begin my life a new, a place to rededicate my life to God, but most importantly a place where I would be trained in the word, where I could study the word of God concerning "spiritual warfare" and it’s connection to drug, alcohol addiction, and most importantly how to rise above the temptations that present themselves. This is not a 12 step program!!! This is a "follow the example that Christ set in Lk.4:1-13 and resit the devil’s temptations by applying the written word of God program!" This Home, Shelter and Ministry was established to help those who may be homeless, those struggling with drugs and alcohol addiction who have failed at trying to complete 13 and 14 step programs and are ready to rededicate their lives to Christ! LIVE, OR STUDY HERE! God provides, keeps food on our table, the lights on... through caring Christians and people like you who click the donate button at the top of the page! The truth is that “The NAME OF JESUS is the only name that the devil, respects and fears” (Js.2:19), "the only name to call on to force Satan to loose his grip on you!" (Acts 16:16-18). Visit our other website at: www.christtaughtme.webs to see what else we’re doing and how your prayers and financial support help change the lives of those living and studying here, and to see how the lives of parents, sons and daughters lives are been restored! "Crack Cocaine Let My People Go Appropriate Prayer Results In Deliverance"
of "Prayers For Deliverance From Drug & Alcohol Addiction"
There are numerous books written on prayer but this is the only one that focuses entirely on teaching the reader how to pray entirely for deliverance from crack cocaine, heroin, crystal meth, marijuana, alcohol, prostitution, homosexual participation, homelessness, stealing and other sins that accompany drug addiction. 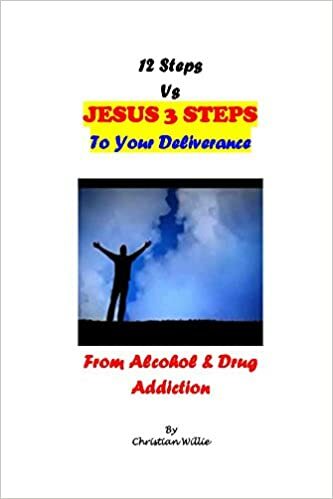 "Crack Cocaine Evil Spirit In Jesus Name I Command You To Release Your Hold"
What 12 step rehab programs fail to do, I can promise you that following the example, the steps that Christ took in Lk.4:1-13 when he was faced with temptation will not fail at! "It's Time To Put The Crack Pipe Down Prodigal Child And Go Back To God, the Father" (Lk.15:11-32). And if you HAPPEN TO BE A WOMAN reading this then this is for YOUR EYES ONLY! 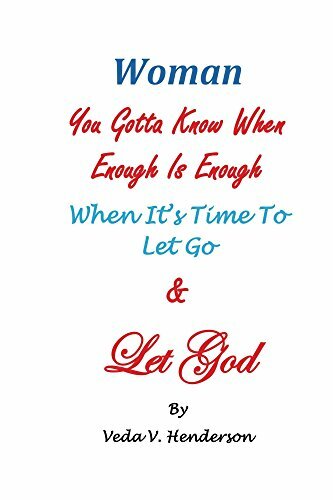 WHEN TO LET GO & LET GOD HANDLE IT! "Woman Ya Gotta Know When Enough Is Enough..."